Jonathan Keep, a pottery artist based in the UK, has created a home DIY chocolate printer. Keep developed the Delta Ceramic 3D printer and turned his attention to the medium of chocolate. 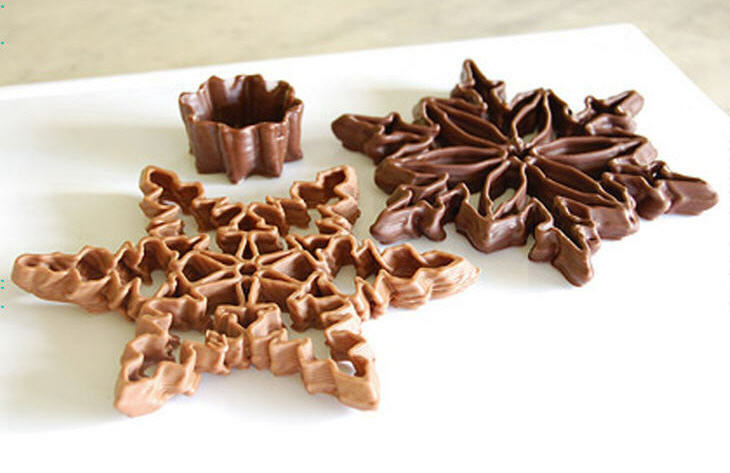 3D printing with chocolate can be a challenge because it requires accurate temperature and viscosity controls. Keep replaced the extruder on his 3D printer with syringe that uses air pressure from an attached bicycle pump and soda bottle. Watch the video below to see how the chocolate extrusion works.